PanelClaw, Solar City (NASDAQ:SCTY), SunLink, Unirac, Borrego Solar and other industry leaders have pushed California’s Division of the State Architect (DSA), the jurisdictional authority for all California public school and community college rooftops, to define regulations for unattached solar system installations. A slew of approvals in February and March of unattached rooftop installations by PanelClaw and SunPower are the result. The DSA’s IR 16-8 regulation provides “clear requirements for both anchored and unattached rooftop systems,” explained DSA Oakland Regional Manager LeRoy Tam, including a provision for the use of peer-reviewed studies to validate the safety of lighter-weight, ballasted, unanchored systems even under the stresses of harsh winds or California earthquakes. 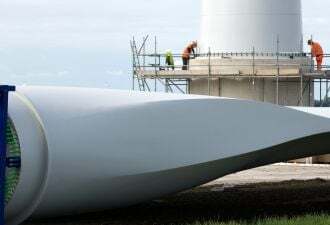 The appeal of unattached systems, held in place by built-in ballast weighting, is a potentially faster and therefore less expensive installation. It has the added advantage of avoiding possible complications from roof penetration. “This validates that a ballasted system of lower weight is safe,” explained PanelClaw Technical Services VP Mark Gies. Lighter systems are less expensive and result in a lower cost of ownership because there is “less risk to the roof and less labor involved,” Gies added. “This takes a positive step toward standardization. It’s a part of moving the industry forward. The new rules, he said, open the door for unattached solar systems on school rooftops. PanelClaw also just announced its most aggressive marketing approach yet by guaranteeing its customers savings over other racking products. Though details are still to come, PanelClaw’s Installation Rate Guarantee on each of its racking systems is in response, Nicolaou said, to a chorus of promises from other solar racking vendors that their systems are the “simplest and easiest” to install. 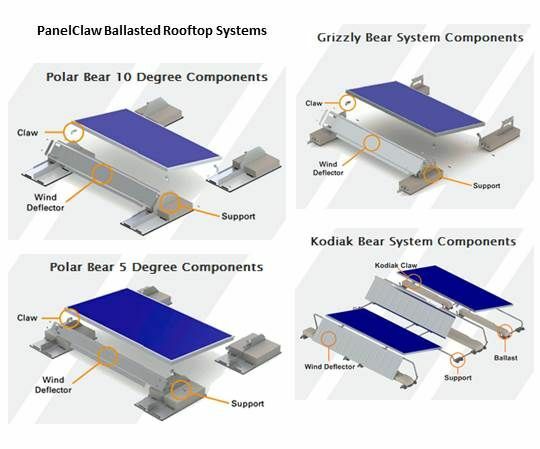 The guarantee, Nicolaou continued, follows PanelClaw’s industry-first offerings of ballasted, parts-integrated, ready-to-install racks; certified and UL-listed roof and ground racks; racks with advanced-materials roof protections; and an advanced-fasteners ground-mounted product. 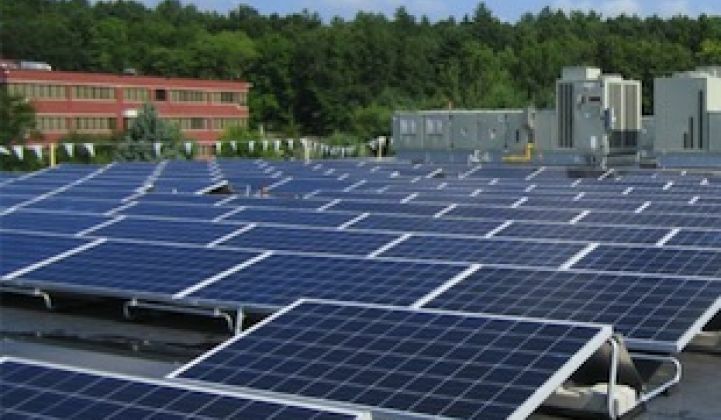 The company will also now cover the freight costs for its rooftop products within the contiguous 48 states and provide “wind and seismic stamps” for its flat-roof products. Another approach to the streamlining of installation costs are SOLON Corp’s SOLquick and SunPower’s Solar Roof Tiles. Both eliminate the clamping together of the module and rack during installation by using pre-assembled, integrated module and rack systems. The reason solar was able to grow 76 percent in 2012, as reported in the just-released GTM Research/SEIA U.S. Solar Market Insight Year-in-Review 2012 report, is that the cost-cutting innovations just keep coming.